And immediately the Spirit driveth him into the wilderness (Mark 1:12). It seemed a strange proof of Divine favor. "Immediately." Immediately after what? After the opened heavens and the dove-like peace and the voice of the Father's blessing, "Thou art my beloved Son, in whom I am well pleased." It is no abnormal experience. Thou, too, hast passed through it, O my soul. Are not the times of thy deepest depression just the moments that follow thy loftiest flight? Yesterday thou wert soaring far in the firmament, and singing in the radiance of the morn; today thy wings are folded and thy song silent. At noon thou wert basking in the sunshine of a Father's smile; at eve thou art saying in the wilderness, "My way is hid from the Lord." Nay, but, my soul, the very suddenness of the change is a proof that it is not revolutionary. Hast thou weighed the comfort of that word "immediately"? Why does it come so soon after the blessing? Just to show that it is the sequel to the blessing. God shines on thee to make thee fit for life's desert-places--for its Gethsemanes, for its Calvaries. He lifts thee up that He may give thee strength to go further down; He illuminates thee that He may send thee into the night, that He may make thee a help to the helpless. Not at all times art thou worthy of the wilderness; thou art only worthy of the wilderness after the splendors of Jordan. 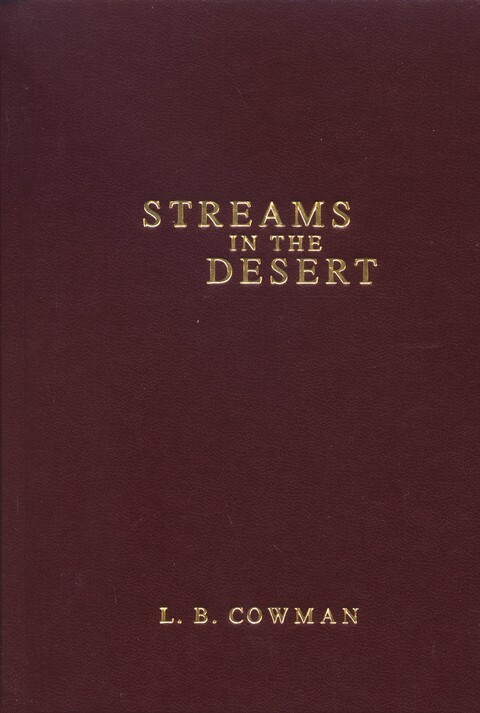 Nothing but the Son's vision can fit thee for the Spirit's burden; only the glory of the baptism can support the hunger of the desert. The time of testing that marks and mightily enriches a soul's spiritual career is no ordinary one, but a period when all hell seems let loose, a period when we realize our souls are brought into a net, when we know that God is permitting us to be in the devil's hand. But it is a period which always ends in certain triumph for those who have committed the keeping of their souls to Him, a period of marvelous "nevertheless afterward" of abundant usefulness, the sixty-fold that surely follows.